Most homeowners don’t put a lot of thought into their HVAC system until something goes wrong. When your home won’t heat or cool on demand, you suddenly become keenly aware of this hidden infrastructure, not to mention the major expense of fixing a broken system. When you partner with a reliable and experienced HVAC service provider like Rowland Air for regular maintenance and repair, you should be able to avoid major headaches like this, along with the expense they often entail. Of course, your furnace and AC unit are just the visible parts of your system. There is also a lot of ductwork running through your home and it could impact the overall efficiency and performance you enjoy when you turn on the central heating or air conditioning in your home. What role does your ducting play, how often should you have it checked, and what can you do when it simply isn’t performing as it should? Ducting is an essential component of your HVAC system as it transports heated and cooled air from your furnace or AC unit to your interior living spaces. You might think there’s not much too it, but inadequate or improperly installed ducting could compromise performance, leaving you spending more on utility costs and still not enjoying a comfortable living environment. For example, if you fail to check your ducting regularly, sections could become loose or even disconnected over time, leaving you paying to heat or cool your attic or crawl spaces with no relief where you need it. In addition, the wrong ducting could result in condensation that creates ideal conditions for mold or mildew growth, potentially impacting the health of your family. Having the right ducting in place to suit your home, your climate, and your needs are crucial to optimal function, and regular maintenance ensures you’ll enjoy the most comfortable environment and efficient operations year-round. The experts at Rowland Air will perform a cursory inspection of ducts during every visit for HVAC inspection and maintenance, but we recommend a thorough cleaning and inspection every 2-5 years, depending on the level of dust and debris in your home or region, and your particular needs and concerns. Like any other system in your home, deterioration is inevitable. Generally speaking, HVAC ducts will last 10-15 years before they begin to need major repair work or replacement, but they could last even longer with proper maintenance and repair. 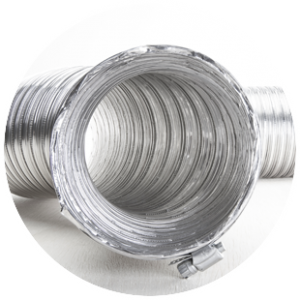 See our Ducting Services page for more information about our HVAC ducting capabilities for the Santa Clarita and Lancaster areas. If you want to enjoy the best performance from your HVAC system, contact the qualified professionals at Rowland Air today at 800-500-9068 to schedule your free consultation and learn more about maintenance schedules and upgrades. How Often Does Your HVAC Filter Need to be Changed? How Long do HVAC Systems Last? How Often Should HVAC Ducts be Cleaned? ﻿Why is My HVAC Not Cooling? Should You Get the Air Ducts in Your Home Cleaned?